We're having a boy! I'm going to have a son! The bun in the oven has berries! Hoo-ray!!! Congratulations! My wife and I are also expecting a boy in a couple of months, but this will be our first. The first post of yours that I read was about your 30 hour road trip (which I found through Daddit). I really enjoyed your writing style and was mentally preparing myself to go through months of archived posts, only to be disappointed by the realization that this blog is not even a month old! I hope you keep writing and I look forward to reading. Thank you! I am so glad you enjoyed it. I didn't know how folks would react. I have been writing for a long time, but just keeping it to myself. I started the blog at my wife's urging and have been having a blast so far. I'll be sure to keep it up, and please come back to read, comment and invite your friends! My goal (fingers crossed) is to have some great conversations and interact with tons of different parents. P.S. 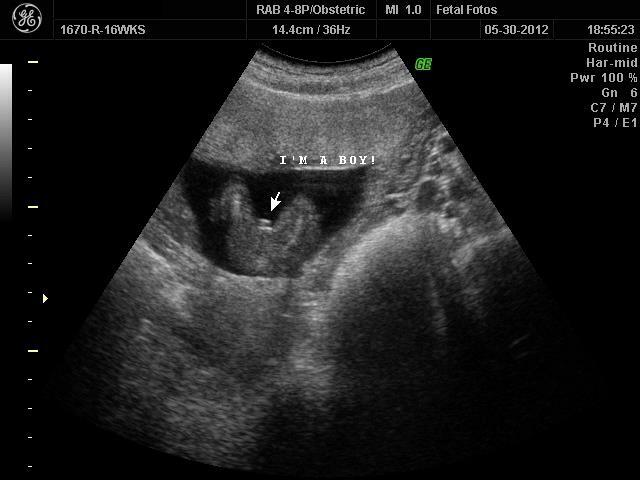 Congrats on your soon-to-be air breathing little boy! Fatherhood is fantastically frustrating beautiful chaos. Let me know how it goes! Congrats. I have a girl and a boy. It is awesomely amazingly beautifully different. It was my Grandfather's name... he was an awesome guy. He taught me that I am OK being me... made me ponder the reality of my existence (..."ya know how we put mice and rats in an environment and then do things to them to see what they will do... Ever wonder if we are the rats?... "), and is still to date (I am 36 now) the only "elder" that ever apologized to me. You are truly gifted in a way that few people are. You speak to depth and sincerity in an easy to read and understand manner. Keep it up! I just found your blog and am in love (platonically, lest my wife get jealous) with it. My little guy will be three in October. While I initially wanted a little girl, having a son really does make you think more about the type of man are/you want to be knowing that you'll be the model for him growing up. We went with the name Truman, a name that has turned out to fit him perfectly.